Philips announced an expansion to its Hue line of connected light bulbs today, with new BR30, GU10 and Disney StoryLight products. The new lights and accessories add to the growing family of Philips products, which currently included the Philips 3-bulb Starter Kit, single bulbs and its LightStrips and LivingColors Bloom “Friends of Hue” lamps. The new BR30 kit launches today for $199, and includes three LED downlights, generally for use in in-ceiling light fixtures in North America, as well as a Hue bridge (ZigBee-based), power supply and Ethernet cable. Individual additional BR30 lightbulbs are also available for $59 each, but you’d need the bridge for them to work. Up to 50 Hue lights can be connected to a single Hue bridge. Each bulb offers approximately 80 percent power savings over their incandescent equivalent, and should offer a total lifetime of 15,000 hours. I tested the BR30s from Philips, and they work just as well as the original Hue lights released by Philips, and can be combined with those on the same Bridge as well. I didn’t have any flush-mount ceiling light fixtures to try the Hue BR30s in at home, but in the lamps that I did test them with, I found them to cast a more full (it’s the brightest Hue yet at 630 lumens), even light versus their standard bulb Hue equivalents. If you’re new to Hue, the BR30s are as good a jumping on point as any, since they also come with a bridge in the $199 starter pack, available at Apple and Amazon.com. Hue bulbs are easy to setup, via process that involves plugging the bridge into power and then plugging that into your Internet router. Then, you simply download the Hue app for iOS on your iPhone, search for the bridge and tap the physical button on the bridge itself to pair them. Hue now has a lot of third-party apps that it works with, too, including some for Mac, and apps that offer shifting patterns based on music, photographs and other input. To set up any of those, it’s a simple matter of tapping the pair button on the bridge to authorize each. BR30 setup is just the same as it has been for other Hue products, which is to say dead simple. Hue’s G10 kits are available to European customers now, at £179 per kit, and £49 each, and will launch in the U.S. in December. These are often used in track lighting, and feature two peg-like prongs – you’ll probably be familiar with them if you have Ikea bedroom or kitchen ceiling-mounted fixtures. With the introduction of the BR30 and the GU10, Philips is really expanding its appeal into a broader range of consumer bulbs. 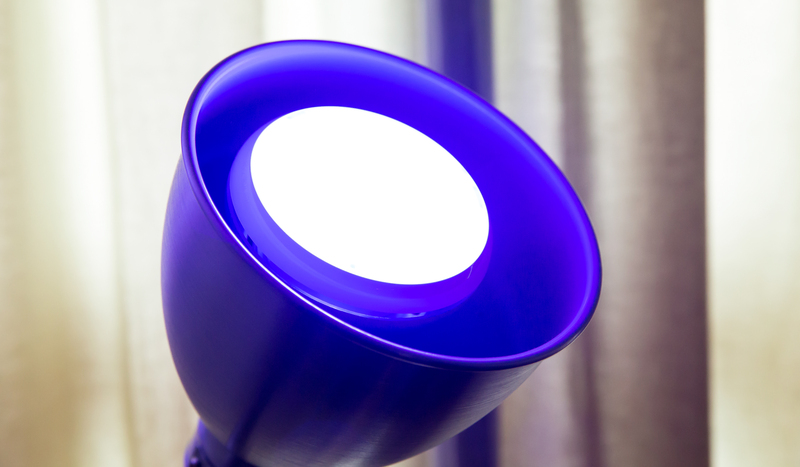 The Disney StoryLight provides an interesting use case, since it combines an app with Hue lighting to add to children’s content, and the initial Mickey Mouse bulb accessory is essentially a Living Color Bloom with Mickey ears. Philips is doing a great job of owning this market before anyone else really even realizes it exists. Others including startups like LIFX and Spark have attempted to make their way into the same space, but seem to be stalled at the starting gate, or at least well behind Philips is progressing steadily with its own new products, signing on partners and building a strong developer ecosystem, which means it should own the smart lighting segment now and for a long time to come.